We know the loss of a tooth can cause extreme anxiety and be really quite upsetting. Our job at My Dental Group is to ensure you know how to maintain a healthy oral hygiene schedule. 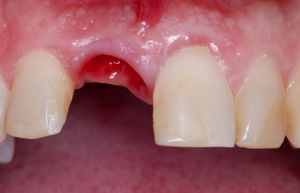 However, whilst we do our best and equip you with all the knowledge to best preserve all your teeth, sometimes this is simply not possible or practical. We understand you may feel a little apprehensive about visiting us, but we can guarantee our friendly and very experienced team will set your mind at ease and discuss all your options with you ahead of any extraction. Our team are trained to discuss the reasons for extractionand sedation options for you. When extraction becomes necessary, we will make sure that you are completely informed of the reasons why, the associated risks and your options for replacement of that tooth or teeth. Our mission is to make you comfortable, safe and at ease. All our surgical procedures, including extractions are performed under strict operating room sterility standards for your safety. One of our experienced dentists will apply numbing cream and then inject local anaesthetic to numb up the tooth that is going to be extracted. This means you will feel pressure but no pain during the process. The dentist will go through postoperative care instructions with you and because we know it can be overwhelming, we send a copy home with you and have a copy here on our website so you can review from the comfort of your own home. Whilst we appreciate everyone is different, the initial healing period usually takes about one to two weeks. During this time, new bone and gum tissue will grow into the gap. As everything settles, having a tooth (or teeth) missing can cause the remaining teeth to shift, they like the new-found room and start to move. This may start affecting your bite and make it difficult to chew. For that reason, your dentist may advise replacing the missing tooth or teeth with an implant, fixed bridge, or denture.